หมายเหตุ Marriage painting. 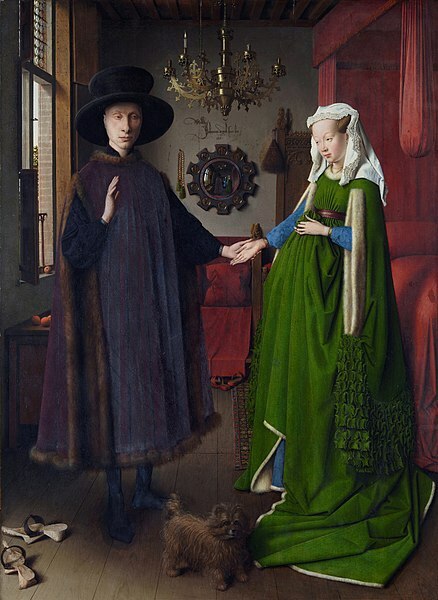 Long believed to be between Giovanni di Arrigo Arnolfini and his wife Giovanna Cenami, now considered possibly between his cousin Giovanni di Nicolao Arnolfini and another woman. 11:31, 22 มกราคม 2557 3,087 × 4,226 (2.26 เมกะไบต์) Ayesha23 Restoring National gallery version.